We are an award winning, fresh and forward thinking family run letting and property management agents with unrivalled expertise of the local area based in Durham City covering the North East. With all the traditional values you would expect from a well-established firm, we offer a modern quality service. With over 10 years of experience, we have developed an extensive knowledge of the local property market. This enables us to offer a wide-ranging service that is both friendly and professional as befits our reputation. We are committed to providing our customers (whether tenants, landlords) with specialist high quality advice tailored to each individual. Whether you are a landlord or investor with single or portfolio properties seeking a reliable agent for responsible, quality tenants for your property and/or full property management tailored to suit your needs, or a Tenant searching for a home ,we are here to help make the process stress and hassle free. We don't go the extra mile, it's already included with our great professional service. A forward looking business based on the traditional values, we always strive to be at the forefront of the property letting market, and invest much time and effort in ensuring that we are fully up to date with ever changing tenancy law and government legislation. Together with attention to detail and conscientious attitude we have the experience, resources and skills to deliver the kind of services that landlords and tenants require. 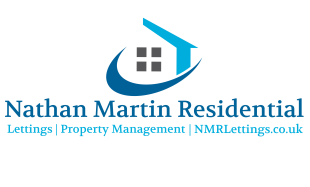 At NMR Lettings, we recognised the growing demand for exceptional properties and exceptional service - so we have provided just that. Disclaimer: The information about this Agent is provided by the Agent themselves as an advertisement for their agency services. Rightmove is not endorsing this Agent and makes no warranty as to the accuracy or completeness of the advertisement or any linked or associated information, and Rightmove does not check or verify the accuracy of the content. The information is generated, provided and maintained by NMR Lettings, Durham. Please contact the Agent directly to obtain further information about their property services.